Next, grab the Kiss, Tux and I Do pages from the bundle. 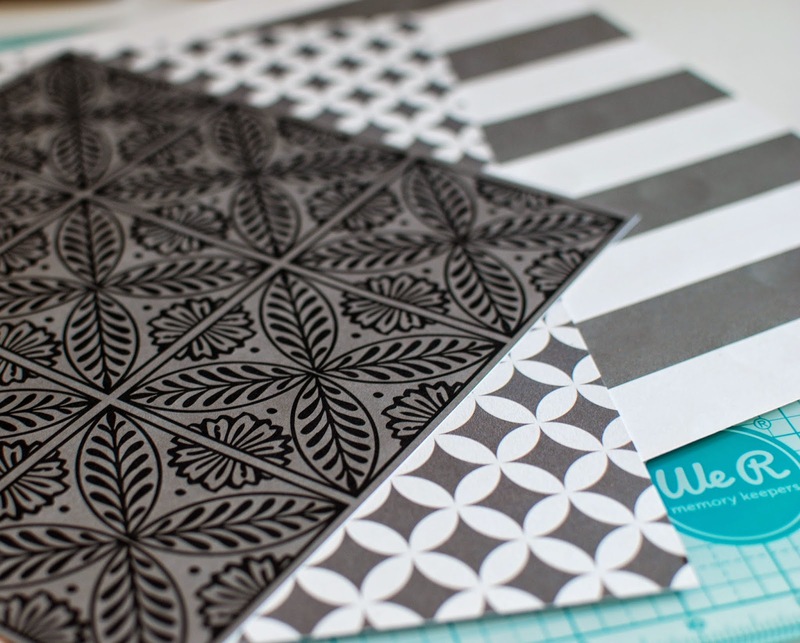 With the I Do Page, cut it down to 9” x 9”, so there are 3 squares wide in both directions. 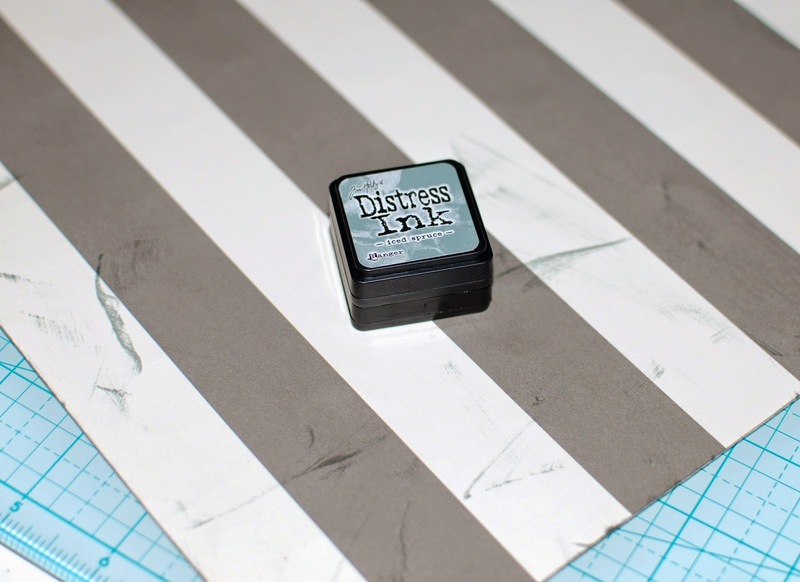 Smudge the edges of the I Do Page with your Tim Holtz Pumice Stone Distress Ink. 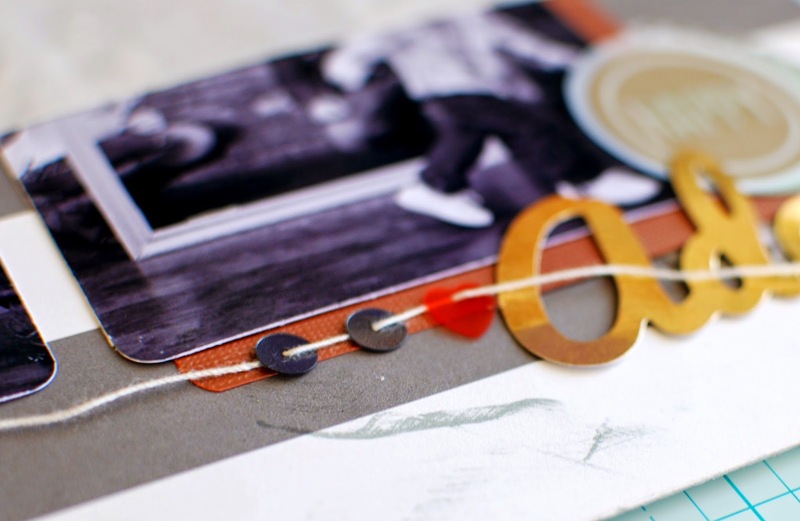 With the Copper Metallic Paint Dabber and a couple of stamps you like, dab the paint on the stamp and place stamps around the outer edge of the Tux Page. 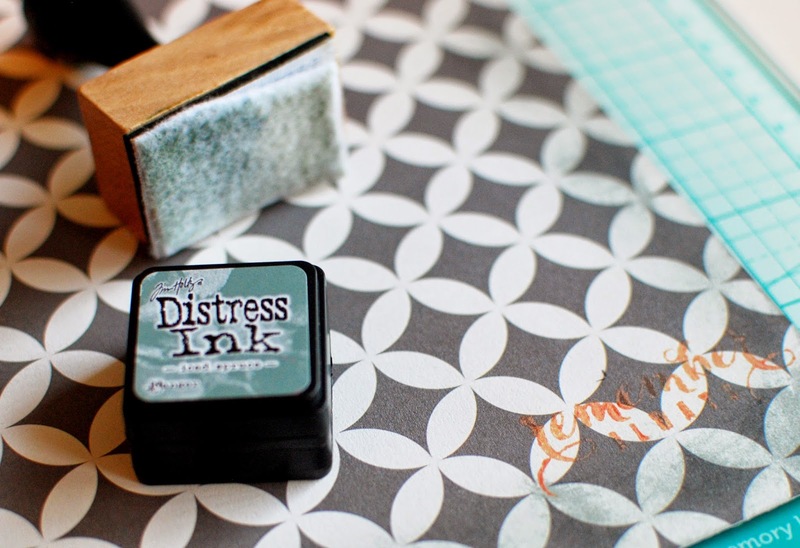 With the Iced Spruce Distress Ink, smudge the edges of the Tux Page. 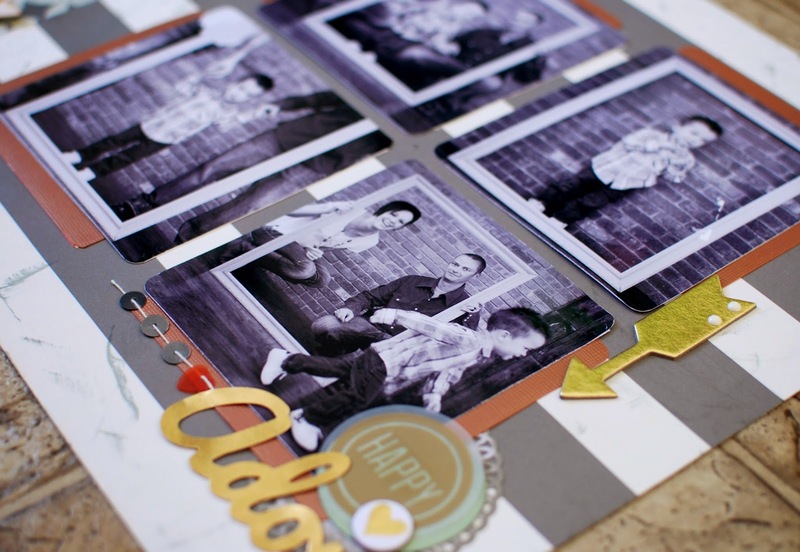 Grab some Chipboard and Die Cut pieces that you want to add to your page. 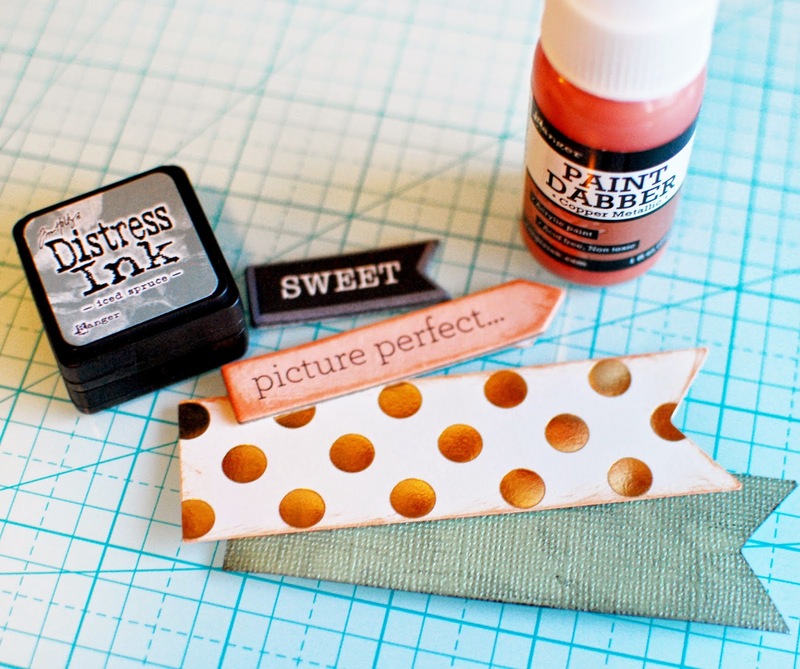 I made an additional layering banner piece out of a green metallic that matched the distress ink. 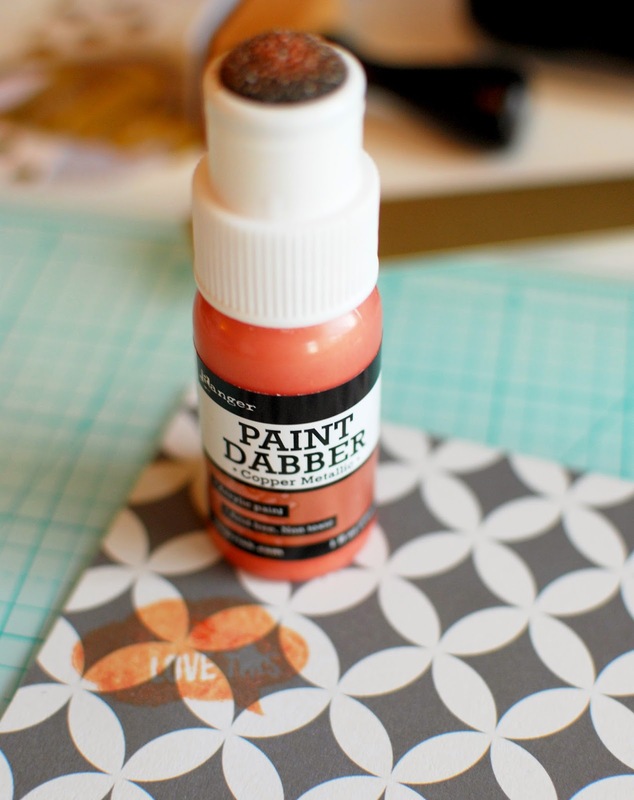 Then you can ink edges of them with the distress ink and paint dabbers. Set those aside to dry. 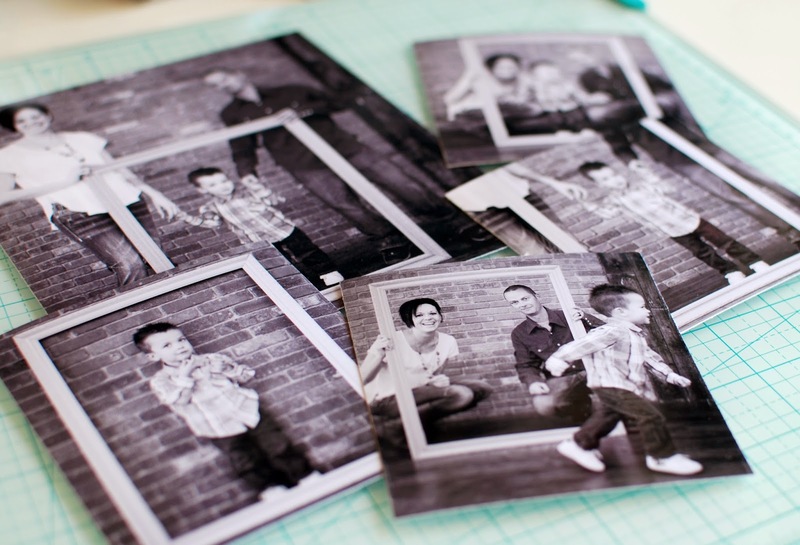 Grab the large image and mat it with a solid color paper. I chose a metallic gold sheet to match. Then secure it with double sided tape to the I Do Page. Proceed to secure that to the center of the Tux Page. 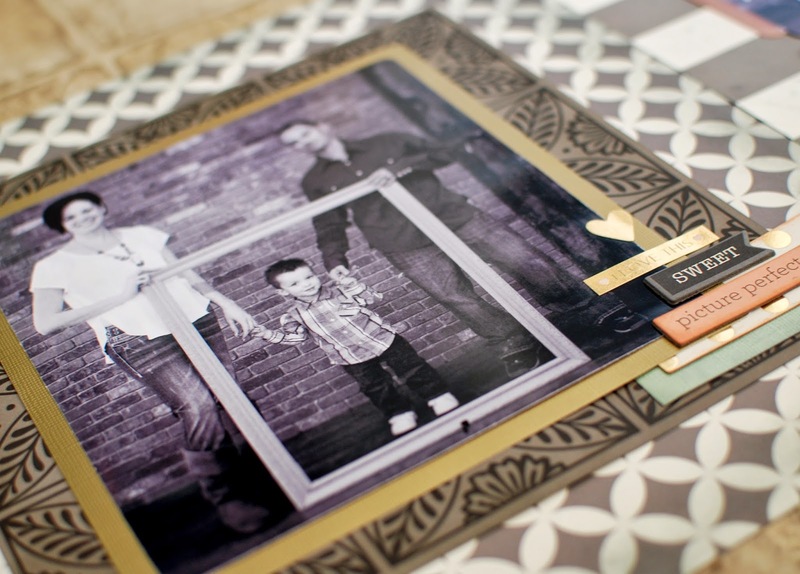 Once you have everything placed as you like it, start to layer your chipboard and die cuts to the lower right side of the image. Moving to the second half of the double page layout. 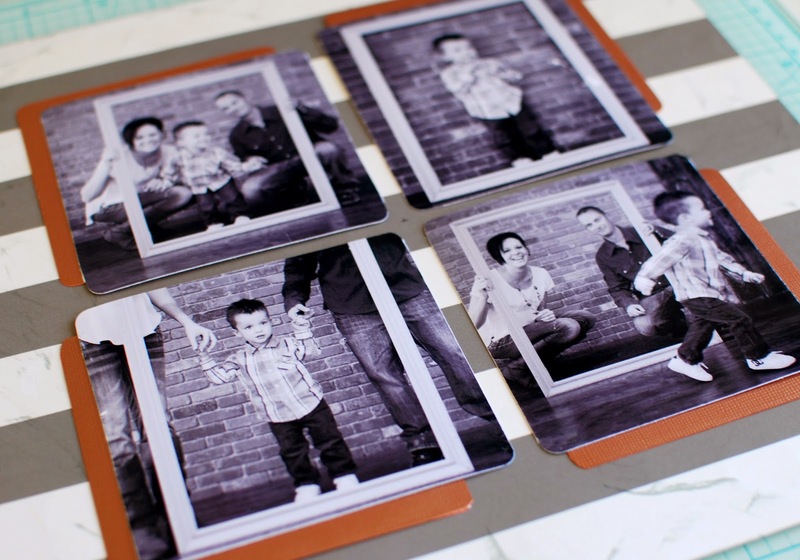 Choose a solid color to mat your 4 images to. 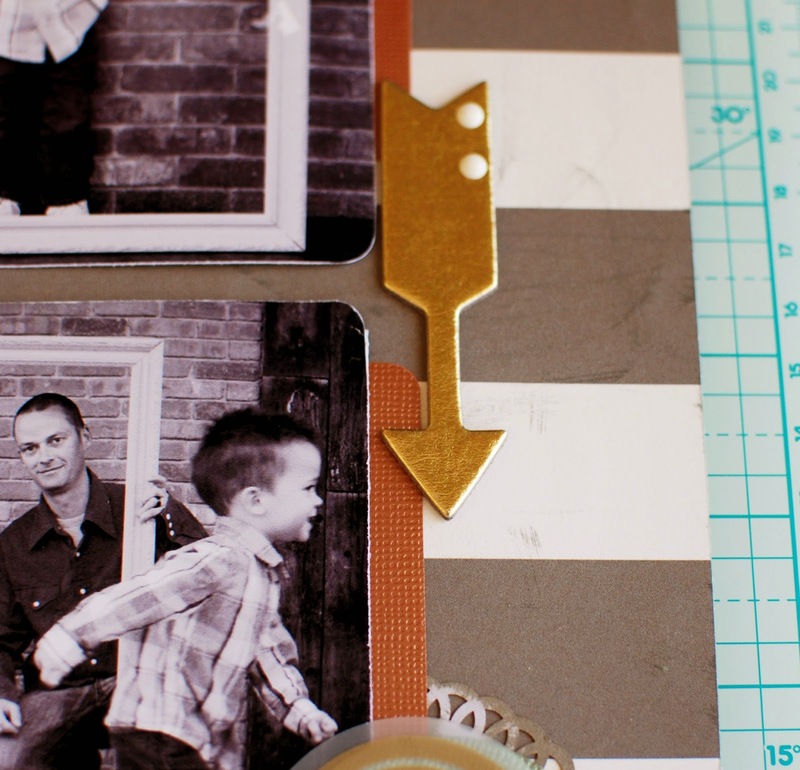 I chose a copper metallic page. 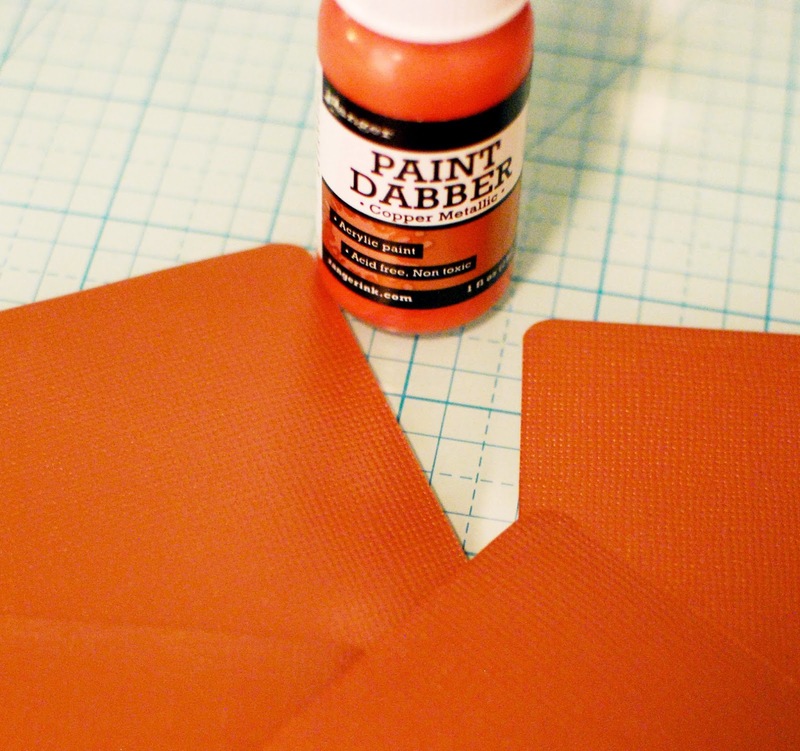 I think used the Copper Metallic Paint Dabber to ink the edges just a bit. 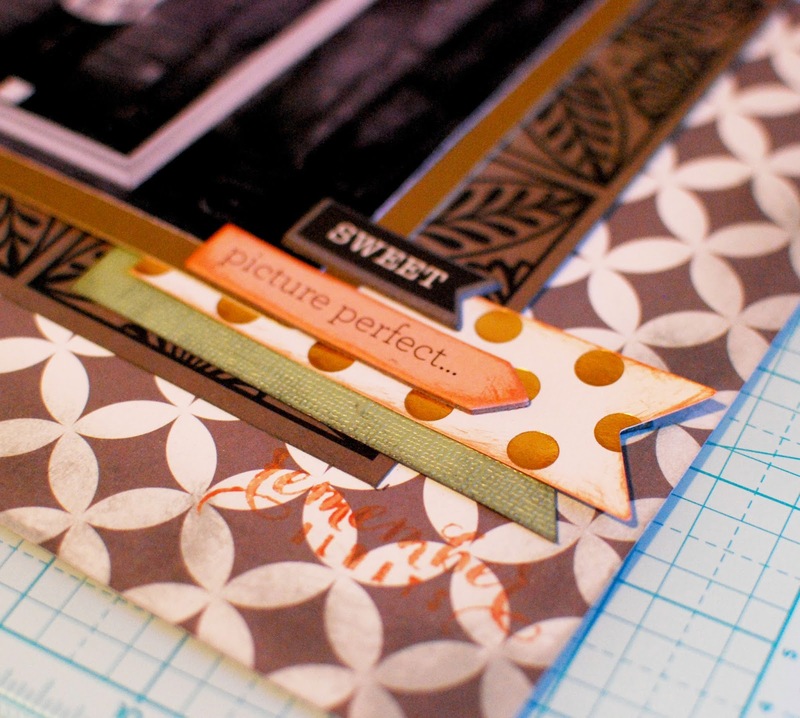 With the Iced Spruce Distress Ink, run it along the edges of the Kiss Page, then make a few random marks as pictures. I made mine sort of messy for added detail. 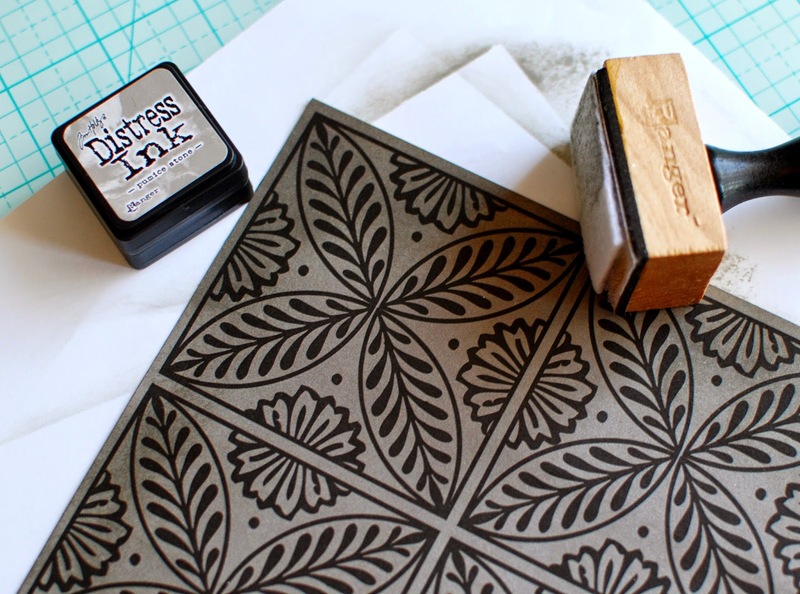 Mat your images on your solid sheets. Place them on the page however you like. I squared mine off by lining up the inside corners of each image. Secure those with double sided tape. Find some string and a large plastic needle. Grab these adorable Sequins from your bundle and pick out a few you want to use. I threaded the string through a few of the sequins and used hot glue to secure them to the bottom right of the layout. 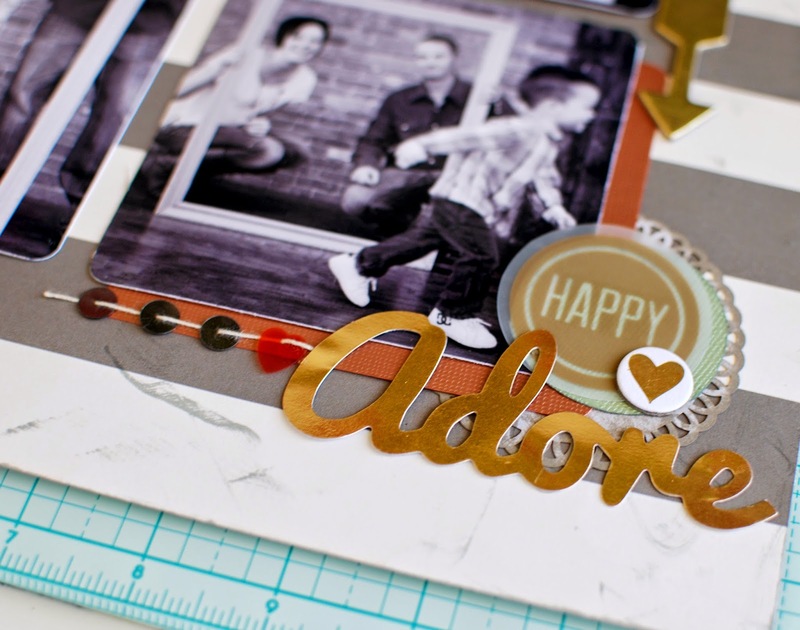 Grab this fun Adore die cut, this Happy transparent, a few more die cuts and chipboard items as you wish. Place them in the bottom right of the layout. 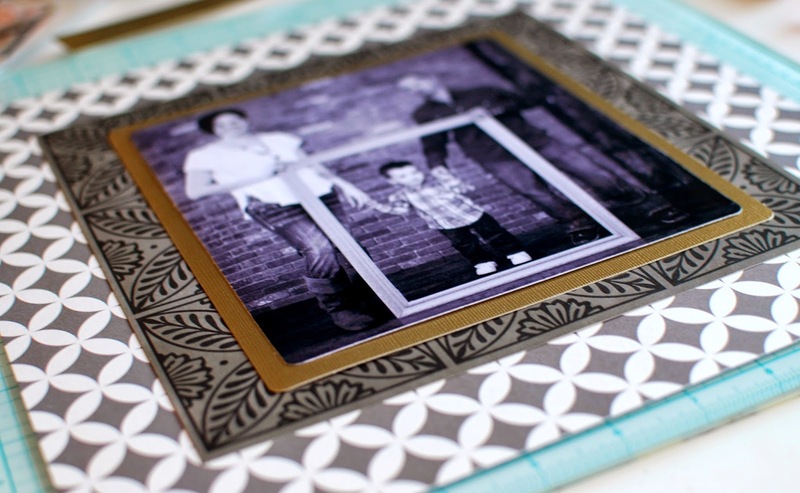 Your Fancy That Double Page Layout is now complete! This is such a cute layout! I love it!